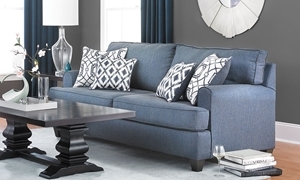 Bring the outdoors in with the Easton cocktail table from Magnussen Home. Pine solids form its block legs, angled side details, plank-style top and bottom shelf. 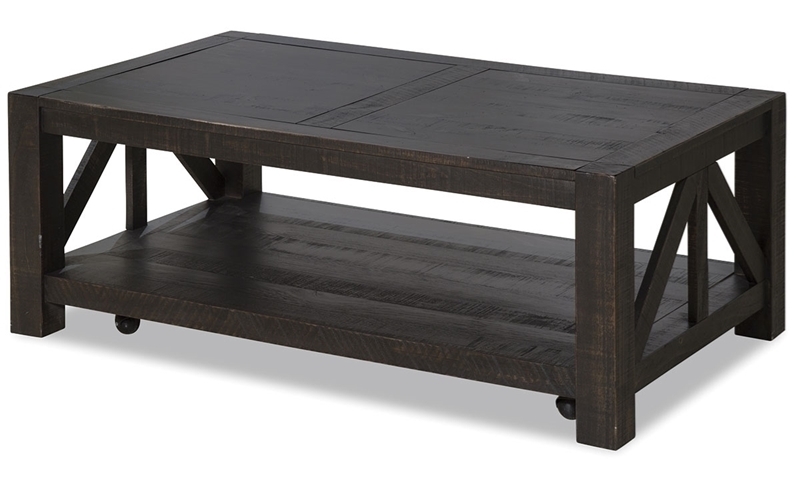 A weathered dark brown finish lends a versatile look to its pine veneers, while casters beneath make it easy to reposition this 50-inch table.